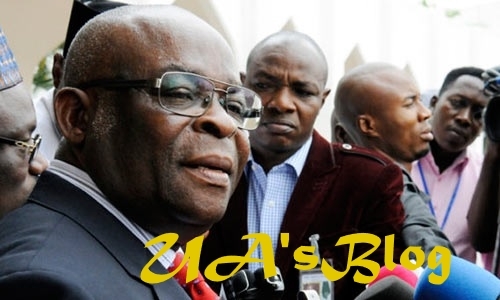 The Coalition of United Political Parties on Thursday alleged that agents of the Federal Government have started invading the residences of lawyers seen to be connected to the suspended Chief Justice of Nigeria, Justice Walter Onnoghen. The coalition’s spokesperson, Imo Ugochinyere, stated this in two separate statements made available to journalists. Ugochinyere named the affected lawyers to include Joe Agi (SAN) and Ogwu James Onoja (SAN). He said, “The home of one of the leading Counsel to the CJN, Mr Joe Agi SAN, was invaded by agents of the Federal Government in criminal and Gestapo-style, breaking doors, damaging property and assaulting everybody in sight including family members of the learned Senior Advocate of Nigeria. “Presently family members of the learned Senior Advocate, who was abducted by the invaders, are in severe body pains, do not know his whereabouts. “This attack as we leaked earlier is one of the numerous invasions and abductions lined up to ensure that all the lawyers defending the CJN against his persecution by the Presidency are forced out of his defence team and yet another confirmation of the veracity of our sources within the hierarchy of the APC. He added that Onoja was abducted by a strike team “with his homes and offices raided and the man blindfolded and taken to Economic Financial Crimes Commission detention facility.